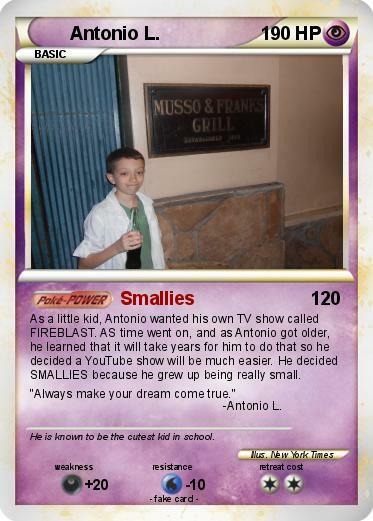 As a little kid, Antonio wanted his own TV show called FIREBLAST. AS time went on, and as Antonio got older, he learned that it will take years for him to do that so he decided a YouTube show will be much easier. He decided SMALLIES because he grew up being really small. "Always make your dream come true." -Antonio L.
Comments : He is known to be the cutest kid in school.